Sending out Xmas card this week? WELL we’ve come up with a really quick way to make your Christmas cards super unique and fun, all you need is a few materials/leftover threads to get you started and these 6 steps. To help do our bit for the Earth, we always try and create planet friendly things. 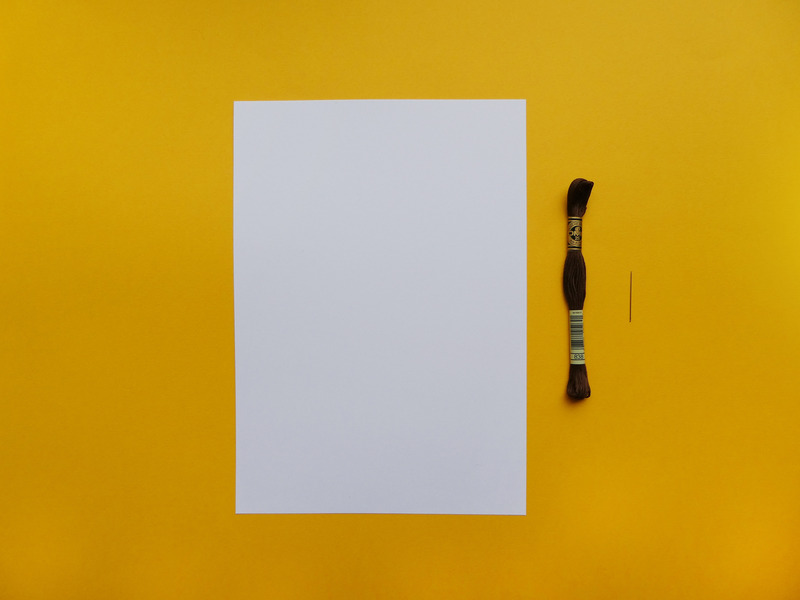 Why not print onto recyclable paper? Embroidering onto paper rather than using glue or tape means the embroidery can be taken out, then the paper can be recycled! Read here for some daily tips on how to live a little greener. - A printer or alternatively some coloured pens. 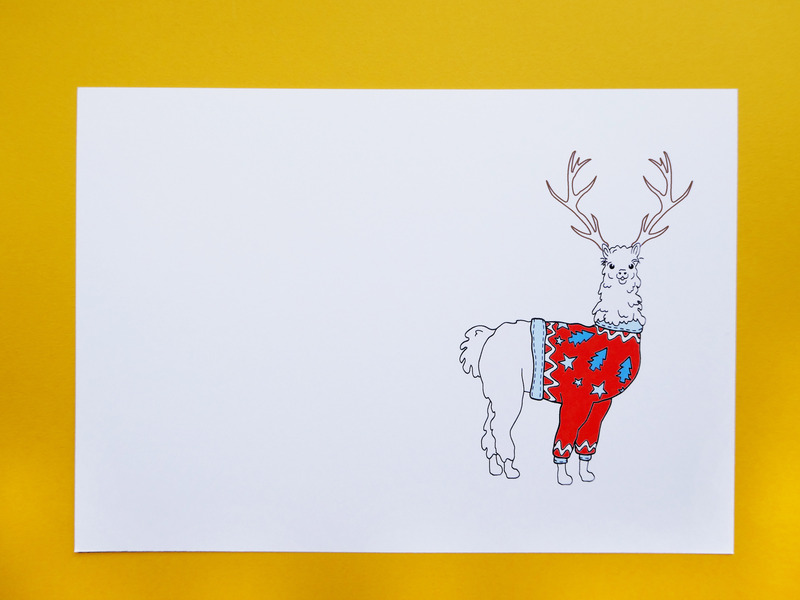 Download your alpaca Christmas card template and print it onto your card. Alternatively if you don’t have a printer, you could draw the design onto your card with coloured pens. 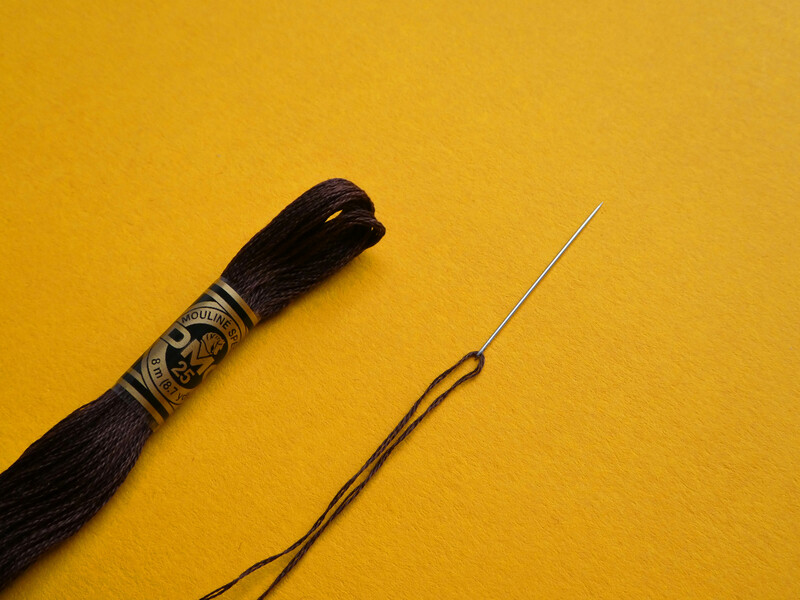 Cut a long length of your thread and separate it into 2 strands. Click here to see an easy way to separate your thread. 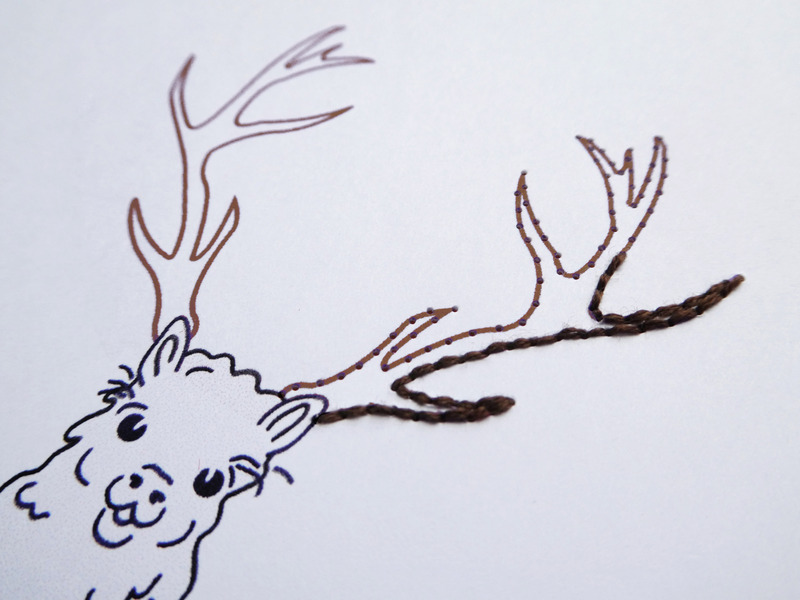 Tie a knot and attach your thread to the back of your card at the base of one of the antlers. Work in Back Stitch along the antlers. TOP TIP: puncture holes along the antlers before hand, this helps the thread go through easily. 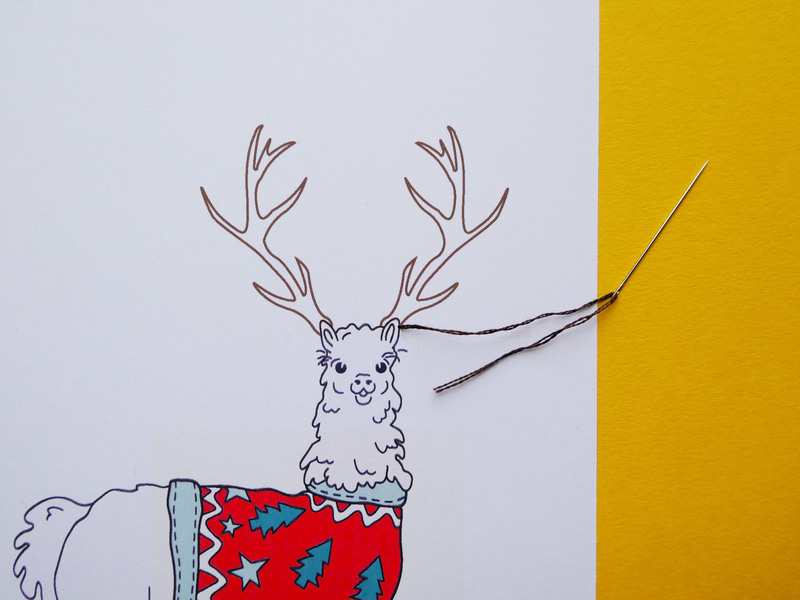 A really cute way to finish your card, give your alpaca a Rudolph nose use a scrap length of red yarn! We’ve used a bit of our Lipstick Red Feeling Good yarn and sewn 1 stitch into the nose. If you’re feeling adventurous, why not make a french knot for the nose! We hope you’ve enjoyed seeing how we’re are making our cards a little different! 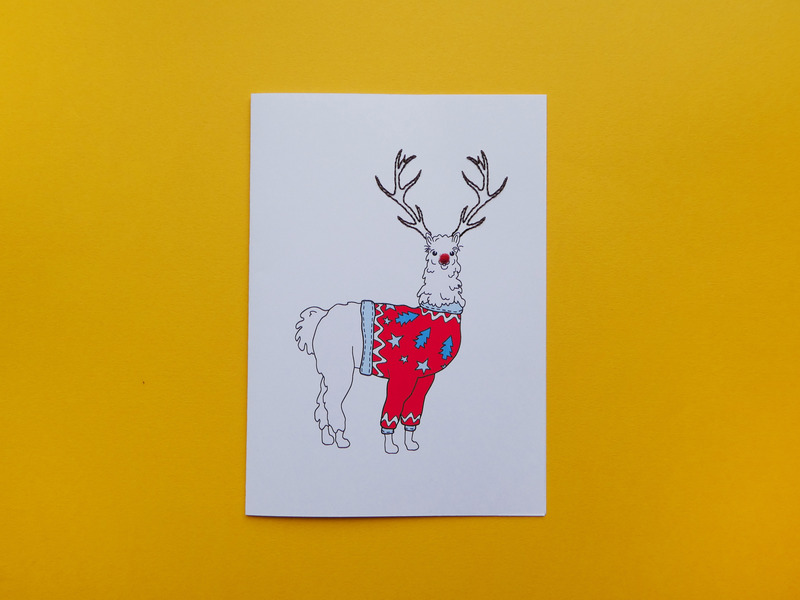 Let us know how you’re customising your cards and gifts this Christmas via #woolandthegang Happy making!